The region’s business community had no shortage of big developments for BusinessWest to write about throughout 2016. 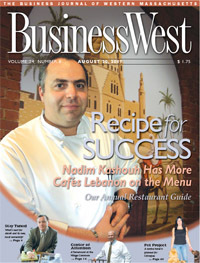 As 2016 comes to a close, BusinessWest looks back at what has been a year of significant progress on major regional projects, of a growing economy that nonetheless posed challenges for employers and business owners, and of company mergers, leadership transitions at large employers, and even some untimely deaths. Here are some of the stories that had the Western Mass. business community talking. At the start of the new year, the Employers Assoc. of the NorthEast (EANE) unveiled the regional findings from the 2016 National Business Trends Survey conducted by the Employer Associations of America. Results indicated that the majority of executives surveyed were optimistic for 2016, were confident about raising pay, emphasizing recruiting, increasing training budgets. However, regulatory compliance was a bigger concern in the Northeast than in other regions: 42% of the Northeast respondents saw regulatory compliance as a serious long-term challenge, whereas nationally, the average checks in at 34%. With state and national changes looming in the realms of sick leave, pay equality, overtime pay, and others, those results weren’t surprising. The past year brought a striking number of notable deaths on the national stage, but locally, few matched the impact of Mike Balise and Paul Doherty. Balise, who actually passed away just before the calendar turned to 2016, was more than the co-owner of Balise Motor Sales; he was a dedicated philanthropist who showed the world how to squeeze every moment out of a life he knew would be cut short by stomach cancer. His fierce battle, and his life’s work, inspired his selection as one of BusinessWest’s Difference Makers for 2016. 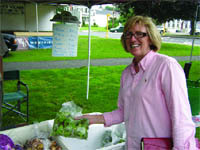 Meanwhile, Doherty, who grew his law firm, Doherty Wallace Pillsbury & Murphy, into one of the largest in the region and cultivated a culture of philanthropy there, was known not only as the man who rarely turned down an opportunity to contribute time and energy to a good cause, but who inspired others around him to do the same. In one month, the region lost two lights who both understood how to live well by doing good. After many months of planning and communicating with Springfield residents and business people, the joint venture of White-Schiavone began demolishing the I-91 viaduct’s reinforced concrete bridge deck, marking the start of a $148 million deck-replacement project that will continue throughout 2017. The lane closures slowed traffic through the artery to a crawl, while a temporary exit helped southbound commuters navigate their way downtown. Across the state, gambling revenue at Plainridge Park Casino increased by $1.3 million in January, snapping five straight months of revenue declines after a strong start in the spring of 2015. That began a streak of several months of increases at Plainridge. That was good news for casino watchers in Western Mass., who wondered if Plainridge’s first-year performance, which fell well short of projections, would be repeated at MGM Springfield when it opens in the fall of 2018. The $950 million MGM Springfield project took a dramatic step forward in 2016, dramatically altering the South End skyline. Meanwhile, the MGM Springfield plan was dealing with growing pains of its own. In February, the Springfield City Council approved a revised site plan that includes the elimination of a 25-story hotel tower, replacing it with a six-story, 250-room hotel on Main Street. In another change, MGM’s host-community agreement with Springfield allows MGM to move about 54 proposed market-rate apartments from the casino grounds to a location near the casino. Taking the fight against the state’s opioid-abuse crisis to the next level, Gov. Charlie Baker signed landmark legislation into law to address the epidemic. “An Act Relative to Substance Use, Treatment, Education, and Prevention,” passed with unanimous votes in both legislative chambers, calls for prevention education for students and doctors and a seven-day limit on first-time opioid prescriptions, among other provisions. The state’s estimated rate of 17.4 opioid-overdose deaths per 100,000 residents in 2014 is the highest ever for unintentional opioid overdoses and represents a 228% increase from the rate of 5.3 deaths per 100,000 residents in 2000. Real gross domestic product in Massachusetts grew at an annual rate of 2.3% in the first quarter of 2016, according to MassBenchmarks, the journal of the Massachusetts economy published by the UMass Donahue Institute in collaboration with the Federal Reserve Bank of Boston. In contrast, according to the U.S. Department of Commerce, national real gross domestic product grew at an annual rate of 0.5% during the same period. The pace of economic growth in Massachusetts picked up in the first three months of 2016 after slowing in the second half of 2015. Also in March, BusinessWest honored its Difference Makers Class of 2016. In addition to Balise, the magazine honored Bay Path University President Carol Leary; Hampden County Sheriff Michael Ashe; Big Brothers Big Sisters of Hampden, Hampshire, and Franklin counties; and John Robison. One of the region’s signature banks is no more, at least not in name, as Chicopee Savings Bank was acquired by Westfield Bank in a deal announced in April and made official later in the year. The merger creates the largest locally managed bank in Hampden County and the second-largest bank in terms of deposit market share in the county. The combined company will have total assets of $2.1 billion and 21 branch locations serving customers throughout Western Mass. and Northern Conn. In other merger news, Key Bank acquired First Niagara Bank in a deal that became official this fall. John Cook, vice president of Academic Affairs at Manchester Community College in New Hampshire, was selected by the Springfield Technical Community College board of trustees to succeed the retiring Ira Rubenzahl as STCC president. Twelve area startups won a total of $252,000 at the annual Valley Venture Mentors (VVM) Accelerator Awards, led by Celia Grace, whose founder, Marcelia Muehlke, calls her company a fair-trade, ethical wedding-dress seller that gives back and empowers women around the world. Muehlke won $50,000 at the ceremony at the MassMutual Center. The other two top winners were Homebody Holistics ($45,000), a maker of all-natural, hand-crafted, herbal cleaning solutions using no harsh chemicals or additives; and Scout Curated Wears ($32,000), a designer, curator, and producer of thoughtful women’s accessories. A $62 million, 72,000-square-foot addition to the Isenberg School of Management at UMass Amherst was one of several major undertakings at area colleges and universities launched in 2016. When the Springfield Falcons took flight to Arizona following the 2015-16 season, the city didn’t have to wait long for a new bird to swoop down and replace the Falcons on the ice at the MassMutual Center. The Springfield Thunderbirds, owned by a large group of area business leaders, were unveiled as the new AHL franchise taking the ice for the 2016-17 season. BusinessWest also honored its 40 Under Forty Class of 2016 at a sold-out Log Cabin Banquet & Meeting House, marking 10 years of shining a light on rising young stars in the region. In local news, Nancy Creed, vice president of Marketing and Communications for the Springfield Regional Chamber, was tapped to succeed Jeffrey Ciuffreda as president of that institution, becoming the first woman chief executive in the chamber’s more than 125-year history. She had played an integral role in the recent chamber restructuring and was responsible for its rebranding effort. The Thunderbirds weren’t the only new sports team making news in Springfield this year, as the city welcomed the Sting, the first American Basketball Assoc. (ABA) team to call Springfield, the birthplace of basketball, its home when it commenced play in November. The Sting joined the ABA’s Northeast Division for the 2016-17 season, alongside teams in Boston, Providence, New York, Long Island, and New Jersey. August brought more employment news when Gov. Baker signed a bipartisan pay-equity bill aimed at ensuring equal pay for comparable work for all Massachusetts workers and equal opportunities to earn competitive salaries in the workplace. The law, which will go into effect on July 1, 2018, will prevent pay discrimination for comparable work based on gender. The bill allows employees to freely discuss their salaries with co-workers and prohibits employers from requiring applicants to provide their salary history before receiving a formal job offer. “Pay equity is not only a women’s issue, it’s a family issue, and with this new law on the books, we are closer to closing the pay gap in our state,” Attorney General Maura Healey said. The Valley Blue Sox scored a playoff berth in 2016, and fans responded to the team’s success, with attendance at McKenzie Stadium in Holyoke averaging 2,121 fans per game, enough to rank them 11th nationally out of 169 summer collegiate teams. This placed them second in New England overall to only the Worcester Bravehearts of the Futures League and first overall in the New England Collegiate Baseball League. Furthermore, the Blue Sox ranked 154th overall on Ballpark Digest’s ‘mega list’ of minor-league teams and summer collegiate teams, with the team beating out 20 A-ball teams and three AA teams. The total attendance per game jumped almost 600 fans from 2015. Not all the news was good in August. Baystate Health announced the elimination of 300 positions from among the system’s 12,500 employees, citing a budget gap of $75 million for the fiscal year beginning Oct. 1, 2016. “Many factors are causing this projected shortfall, most significantly the continuing shortfalls in the reimbursements we receive for providing Medicaid services,” said President and CEO Dr. Mark Keroack. In September, BusinessWest detailed Springfield Technical Community College’s $50 million effort to convert its historic Building 19 into a campus center. 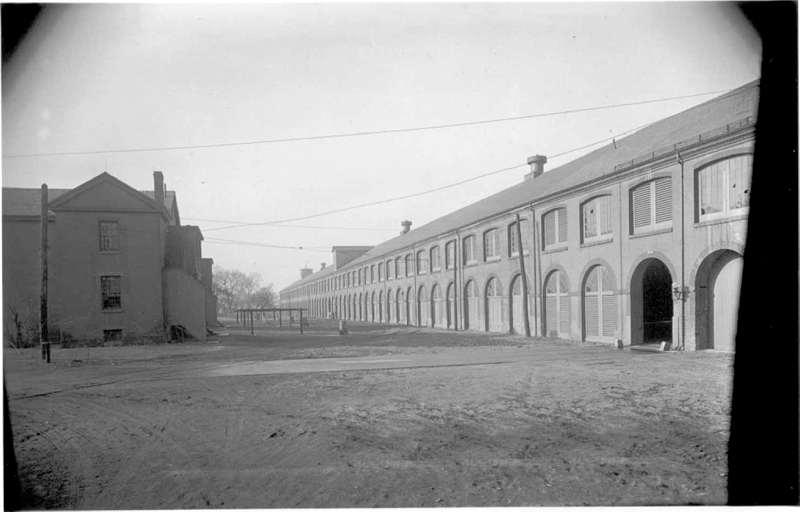 The 700-foot Armory warehouse, which predates the Civil War, will become home to a wide array of offices and facilities now scattered across the campud, including the library, admissions, registration, financial aid, the bookstore, the welcome center, student government, the parking office, health services, student activities, a café, the IT help desk, meeting and convention space, and more. Another landscape-altering project launched in 2016 was a $50 million initiative at STCC to convert Building 19 (seen above in the 1930s) into a new campus center. Meanwhile, state and UMass Amherst officials broke ground on the $62 million Business Innovation Hub at the Isenberg School of Management. 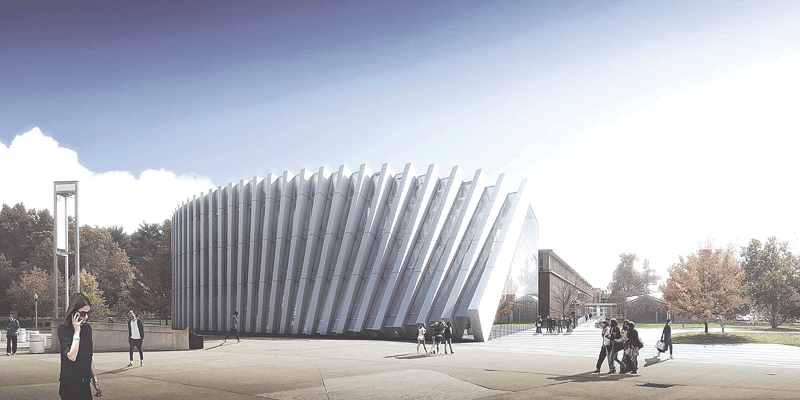 The ambitious project will add 70,000 square feet of classrooms, labs, and student spaces, including an expanded career center, advising spaces, and learning commons, as well as faculty offices to the school’s existing facilities. The project is scheduled for completion in September 2018, with occupancy in January 2019. Speaking of the state’s university system, UMass continued a decade-long surge in enrollment, surpassing 74,000 students for the first time, with 74,678 students enrolled across the five campuses. Over the past decade, student enrollment at UMass has risen almost 27%, from 58,939 in the fall of 2006 to the current 74,678, making UMass one of the fastest-growing universities, public or private, in the nation. In the recently released U.S. News & World Report “Best Colleges” rankings, the four UMass undergraduate campuses for the first time are all represented in the magazine’s top category. 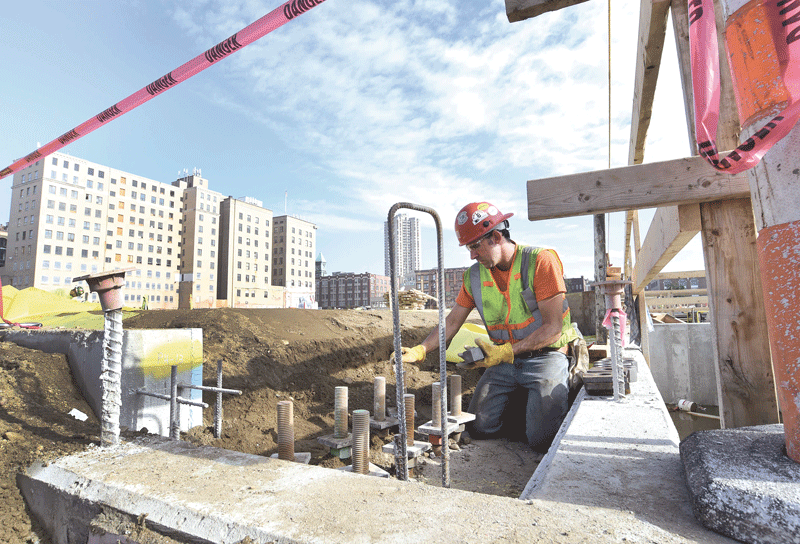 The $88.5 million rehabilitation of Union Station in Springfield into an intermodal transit hub continued to chug toward its expected completion in January 2017. The project has included the complete renovation of the terminal building and its central concourse, the renovation and reactivation of the Amtrak passenger tunnel linking the terminal building to train platforms and the adjacent downtown area, demolition of the former baggage-handling building and construction of a regional and intercity bus terminal and parking garage, and opening up of 64,000 square feet of leasable commercial space on the upper floors of the terminal building. BusinessWest kicked off November with the sixth annual Western Mass. Business Expo at the MassMutual Center in downtown Springfield. Now a fall tradition for the region’s business community, the show featured more than 100 exhibitors, more than 2,000 attendees, dozens of educational seminars, special presentations, breakfast and lunch programs, and much more, including demonstrations of virtual-reality technology that proved to be extremely popular. 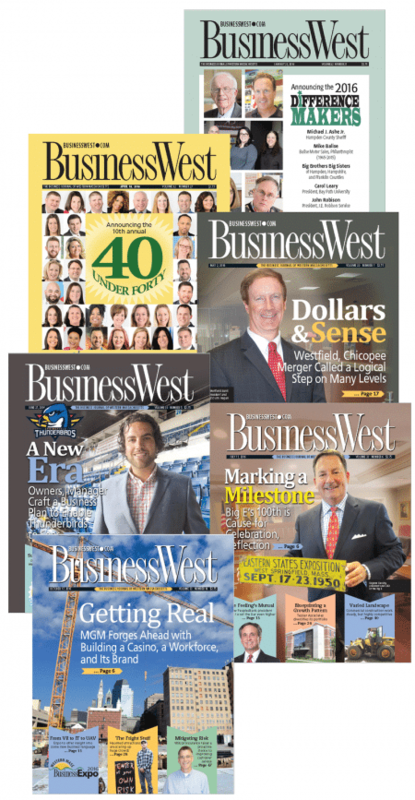 “There are a great many challenges to doing business today, from harnessing the latest technology to recruiting, developing, and retaining young talent, to creating an environment where several generations can work, and thrive, together,” said BusinessWest Associate Publisher Kate Campiti. Once again, she added, the Expo helped businesses identify and cope with these challenges. Christina Royal, provost and vice president of Academic Affairs at Inver Hills Community College in Inver Grove Heights, Minn., was approved as the next president of Holyoke Community College (HCC), succeeding William Messner, who retired in August after serving for 12 years. Meanwhile, HCC announced the details of an upcoming two-year, $43.5 million renovation project that will transform the look, feel, and organization of the campus. The HCC Campus Center is scheduled to close Feb. 3, 2017, and construction will begin soon after. The key features of the project include squaring off the building’s sloping façade and giving the entire building a new exterior shell that will make it both weathertight and energy-efficient. About 9,000 square feet of space will be added to the current 58,727. The MBTA announced it will place a second order for new Red Line cars with CRRC, the company already contracted to build new train cars at a facility it is building in Springfield. MBTA officials say it’s cheaper to pay $300,000 for each new car than to rehab aging trains. CRRC, the Chinese-owned world leader in rail-car manufacturing, won a contract in 2014 to build 152 Orange Line cars and 132 Red Line cars to replace aging trains. Under the new proposal, CRRC will start building an additional 120 Red Line cars in 2022 after completing the initial order of Red Line and Orange Line cars. The proposal includes an option to purchase 14 more cars after that.